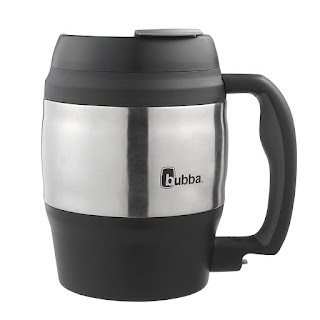 HURRY over to Amazon where you can score this Bubba Classic 52 Ounce Insulated Mug for just $7.79! This BPA-free large capacity coffee mug has a dual-walled polyurethane with foam insulation and keeps cold beverages cold and hot beverages hot for hours! Please note: This is an Add-On item, meaning it ships with your $25+ order. I scooped up on four of these to get this low price and plan to give these as teacher gifts! I know quite a few teachers who have these...and they're awesome!